We are supplier and exporter of Pharmmaseal, PVC, PVDC, Glassing Paper. These are designed using quality raw material and cutting edge technology. We are supplier and exporter of Pharmmaseal,PVC,PVDC, Glassing Paper. These are designed using quality raw material and cutting edge technology. "Holographic Security Marking System Pvt. 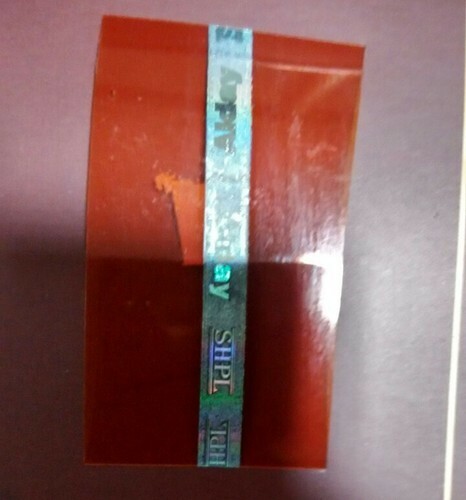 Ltd." came into being in the year 1993 and carved a niche as the leading Manufacturer and Exporter of the wide range of Hologram Stickers, Seals, Stripes, Sleeves, Labels & Induction Wads. We are first to research and develop unparalleled products, which help to fight out counterfeiting in an assortment of markets. In India, we are the primary organization to produce genuine holograms for protection of documents for share certificates and banks. We export our products to Europe.